What is an Air Operated Conveyor? Air operated conveyors are clean, quick, and efficient machines that are designed to transport or vent a wide variety of lightweight products, raw materials, or fumes from one place to another. They are a family of devices that use air to move products instead of mechanical belts or chains. Internal air conveyor is the term used when the items being moved are in the same pipe or chamber as the air that is moving them. Air transporter systems are popular in material handling and packaging industries. It works by having air flow through louvers to an inner chamber in which items, such as metal scrap, is moved. 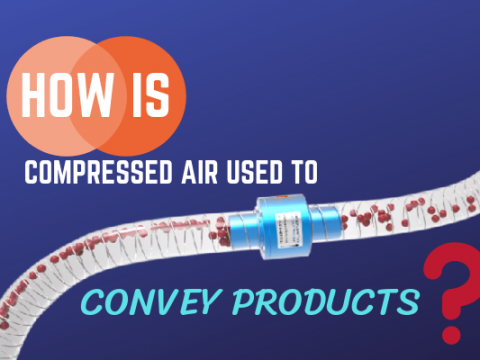 Internal air conveyors are limited to lengths of about 100 ft. (30 meters) or less due to pressure losses within a pipe. Any friction between the product and the system is kept to a minimum. Some system even use ultra-low friction guide materials, such as oil-impregnated Ultra-High-Molecular-Weight (UHMW) or highly polished chrome. At very high speeds, a week’s worth of dust on a line can create enough friction to reduce line efficiency. Therefore, it is important to keep surfaces clean in these type of systems. An air conveyor system is used to convey all types of solids, plastic materials, metal pieces, waste, trim removal in a manufacturing environment. It can also be used to vent gas in some cases. The length of the distances transported vertically and horizontally depend heavily on the types of material you are conveying. Bulk conveyors move powders, scrap, coal, bottle caps, and grain. Generally these are not used for delicate objects that could be damaged if not moved in a specific orientation such as bottles, although some heavier bottles are conveyed this way. An air conveyor system can usually convey the same material as bulk conveyors but with significant less capacity. 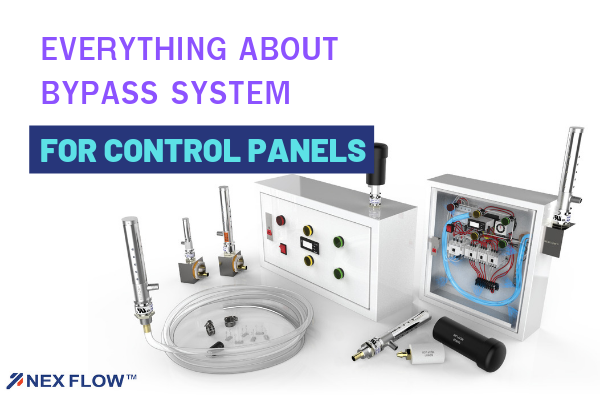 Low capacity applications where bulk system may apply can be ideal for air operated systems. Deck conveyors are used to move cans, caps, and cartons or cases. Deck conveyors work like air hockey tables, except that in addition to the lifting holes, there are directional louvers that direct products. It is not uncommon for deck conveyors to be inclined more than 10 degrees. Specialized systems called “tunnel tracks” are used for cans with decks on top and bottom, which sometime serve as vertical elevators. This type of carrier requires a guide to keep products from falling over. The guide keeps products from lifting off the conveyor and prevents products from tipping over when starting and stopping. Products without flat tops and bottoms may not work well with this specific system because they are not easily guided. However, there are some products/packages designed so they can be moved without a top cover. Other guide arrangements are also possible. For example, some air deck conveyed products such as plastic ketchup bottles may be guided on the shoulders rather than the top. Neck ring conveyors are used to move bottles. Due to the friction of the bottle-neck ring against the neck-ring guide, more air pressure is needed when bottles accumulate back to back to get them moving again. 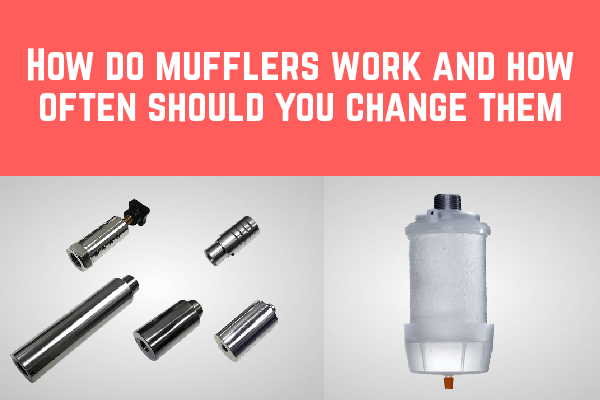 Airveyors are devices used for handling dusty materials, which is built on the principle of a pneumatic cleaner. 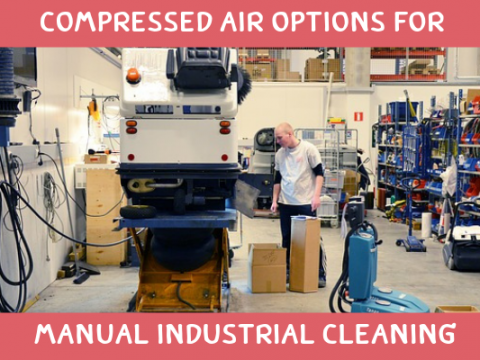 The system used is a suction system, whereby the material (soda ash, salt cake, cement, or powdered lime) is drawn from the car through a flexible hose into a vacuum tank designed to recover a large percentage of the dust floating in the air. An air conveyor can sometimes be used and incorporated into these systems depending on the capacity that needs to be addressed. Apron Conveyor is made from linked apron plates with hinges on its underside, thus creating a looped carrying surface where huge and heavy materials are placed. A mechanism, usually composed of several metal rollers, is placed inside the apron conveyor belt. The apron conveyor is used to deliver many materials across several phases of production. Many industries consider apron conveyors to be a lifeline in their industry, including manufacturing, agricultural, and chemical industries. Screw conveyor or auger conveyor is a mechanism within a tube that uses a rotating helical screw blade. It is used to move liquid or granular materials including food waste, wood chips, aggregates, cereal grains, animal feed, boiler ash, meat and bone meal, municipal solid waste, and many others. The rate of volume transfer is proportional to the rotation rate of the shaft. Although air conveyors are not able to handle the large capacity that screw systems must deal with – rare application can arise. Chain Conveyors are used for moving products down an assembly line and/or around a manufacturing or warehousing facility. Chain conveyors are primarily used to transport heavy unit loads, e.g. pallets, grid boxes, and industrial containers. These can be single or double chain strand in configuration.This type of carrier system utilizes a powered continuous chain arrangement, carrying a series of single pendants. The chain arrangement is driven by a motor, and the material suspended on the pendants are conveyed. Bucket elevator (also called a grain leg) is a mechanism for hauling flowable bulk materials (most often grain or fertilizer) vertically. Vacuum Pump – while not specifically a type of conveying system, electrically operated vacuum pumps are utilized often for venting purposes to move gaseous products of all types, including corrosive gas products. The gases are conveyed by the vacuum action and sometimes vented to the atmosphere. Air conveyors are better suited when handling corrosive or high temperature gas because they do not use electricity, can be supplied in appropriate materials, are lightweight and compact for easy installation, and virtually maintenance free. Ring Vac: Simply clamp a standard hose size to each end of the Ring-Vac to create high energy conveying system. There are no moving parts for maintenance free operation with capacity and flow controlled using a pressure regulator. 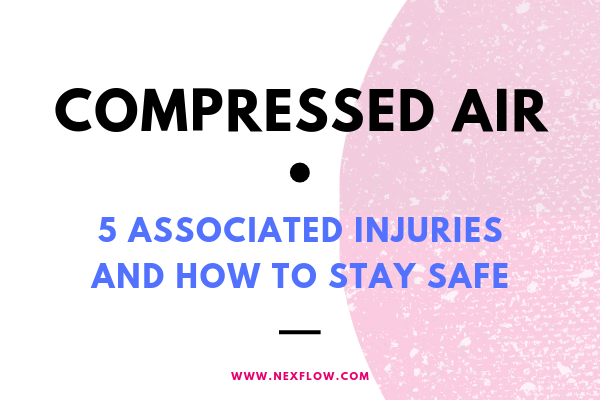 Any size longer than 3” (76mm) can be prohibitive for most applications due to high compressed air requirements but 4” and 5” units are available. The anodized aluminum and high temperature stainless steel Ring-Vac Air Conveyor can move all types of solids in large volumes over great distances with no moving parts. 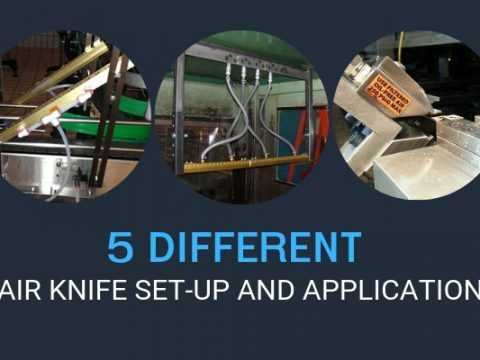 XSPC Conveyors: Like the Ring Vac, XSPC conveyors are compact, easy to use, portable, and ideal especially for intermittent use in material transfer. The difference is that the inside of an XSPC conveyor is straight and smooth so materials, such as textiles, cannot clog. Air conveyors are most widely used to move lightweight objects such as empty containers, boxes, and trays at speeds often exceeding 1,000 fpm. However, they are not limited to lightweight materials. There are many different types of air operated conveyor systems that are designed to convey different types of products or perform specific tasks. What are the advantages of using an Air Operated Conveying Systems? Air operated conveyors easily move items at faster speeds than conventional conveyors. They are also ideal for moving scrap where conventional conveyors would become quickly clogged or contaminated with debris. The inside diameter can be twice the diameter of the part/material being moved to help prevent clogging. Air conveyors typically have minimal moving parts and no pockets to collect debris and water, which makes them safe and easy to clean and maintain. The original patent was for coal since it was used to safely vent air in remotely for various explosion-proof settings. Coal comes in a variety of sizes and easily breaks down into smaller, highly flammable particles. Air conveyors are designed to keep coal dust contained and not attract and accumulate dust. This means that they require much less frequent cleanings than belt conveyors moving coal would need. Maintenance is also greatly reduced on air conveyors versus conveyor belts, because the only bearings are on the blowers, which are typically located well outside the area where they would encounter dust and other small particles. Air conveyors are also useful when transporting sharp or abrasive materials. Metal scrap and recycling centers are perfect applications for air conveyors because long ribbons of razor sharp metal can easily snag other types of conveying equipment. In a transmission line or a scrubber, the compressed air technology replaces an electrically operated vacuum pump for venting purposes. Electrically operated vacuum pump requires maintenance and a more complicated configuration. An air operated conveyor, Ring Vac and XSPC which uses a Venturi effect. 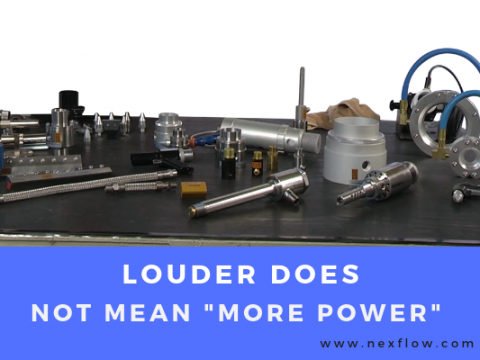 A compressed air flow amplifier is very quiet and moves large quantities of air. It is an ideal solution when venting clean gas short distances because very little vacuum is required. 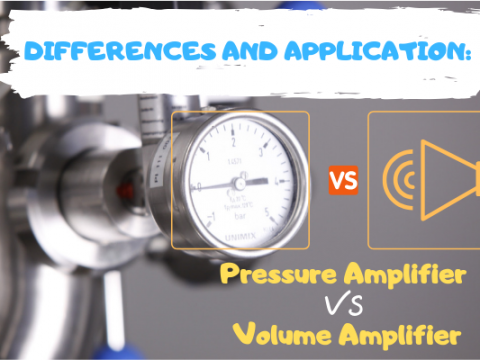 The compressed air exits a small gap in the amplifier and goes over a series of ” Coandă ” angles converting air pressure to flow. 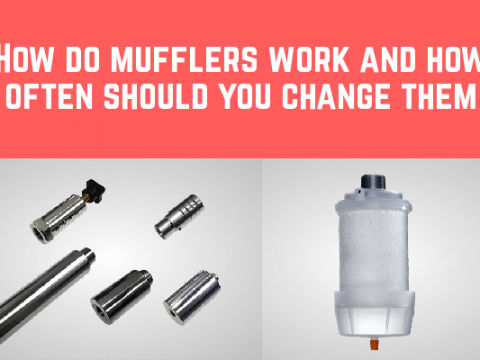 This solution is ideal for venting fumes, dust, and grime. It is complex to manufacture and costs more. This unit requires more air pressure to operate. An air operated conveyor uses a series of holes to blow the compressed air in one direction creating a vacuum to draw in and move the gas. The Venturi system has several holes, the number depending on the size of the unit, which pulls the air behind the unit creating a vacuum, drawing in any gasses and then pushes them away. It is an ideal solution for moving gas longer distances aided by the extra vacuum. 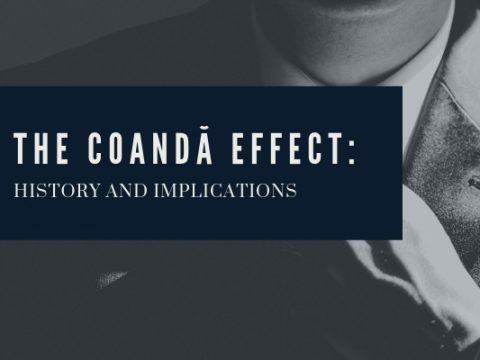 An air operated conveyor is required when the gas is contaminated and there is a possibility that it could deposit material on the Coandă angles of an amplifier, which could stop the venting effect over time. Since the compressed air enters through a different vent, there is less opportunity for dirt deposits if the gas is contaminated. 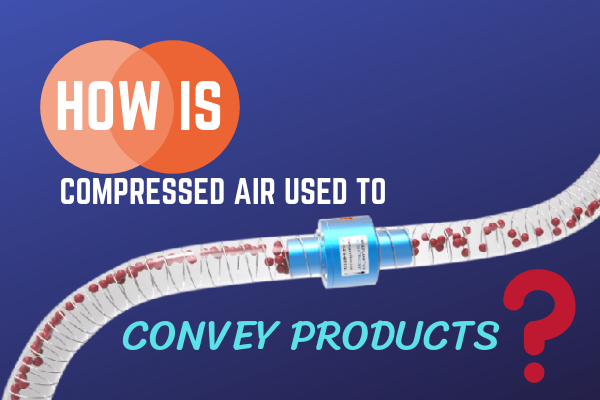 The air operated conveyor produces a higher vacuum but does not move as much air volume as an air amplifier. The Venturi system is a simple unit to manufacture and costs less. It requires less air pressure to operate. It is available in aluminum, stainless steel (standard), with special units made in Teflon, other plastics and metals. Therefore, due to the design, cost of manufacture, and requires less air pressure to operate, the Venturi system is often the ideal solution for gas venting applications. 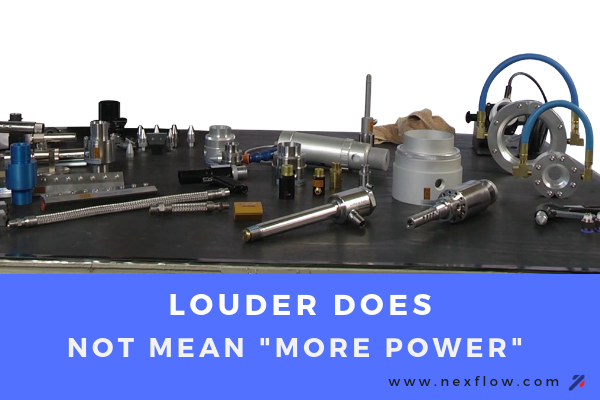 If a large amount of air borne dust or fumes need to be collected and moved a long distance, the air amplifier enhances the air conveyor ability to convey these materials over long distances. 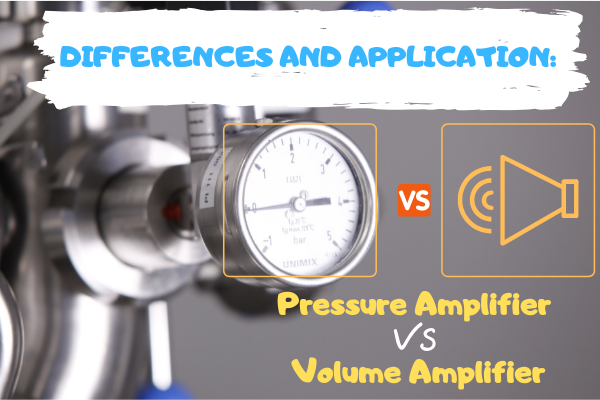 The reason is that air conveyors produces high vacuum but move less volume as compared to air amplifiers that move high volume but creates less vacuum. 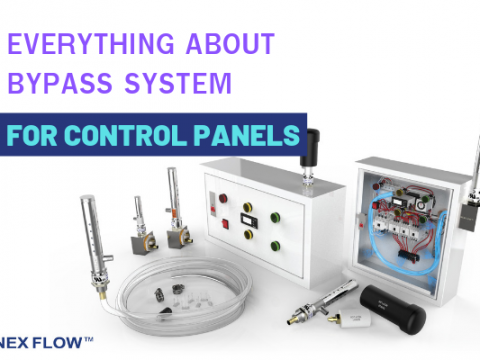 How do I select an Air Conveying System? Material properties: Consider the characteristics of the material that needs to be moved or removed. What is the particle size and shape, bulk density, moisture content, abrasiveness, friability, cohesiveness, static charge, explosivity, toxicity, melting point, and more? Conveying distance: What is the overall distance as well as horizontal or vertical direction of the pipe? Transfer capacity: Includes the material properties and the transfer distance. Transfer rate: How fast and how often does the material need to be transferred. Nex Flow air operated conveyor system are lightweight and use no electricity. The parts are readily installed and easy to use. 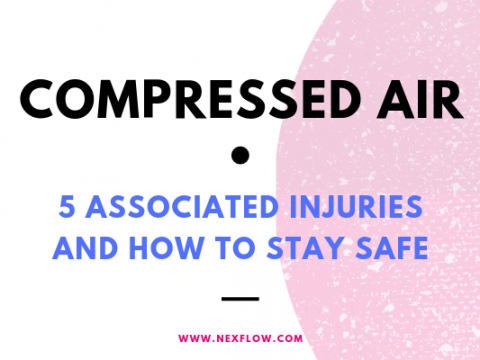 There is a threaded version as well as clamp on, sanitary flanged units, and other flanged units (optional). They are portable and ideal for continuous and intermittent applications. Our system utilizes compressed air for a powerful, efficient venture action along the length in a compact design for high capacity conveying over long distances. 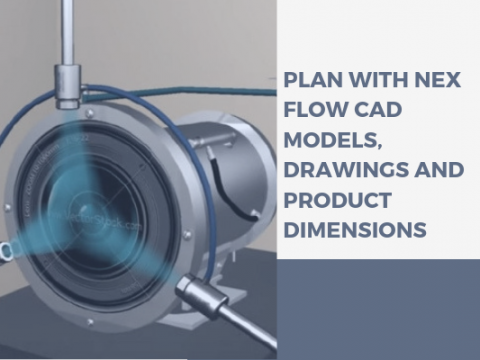 Nex Flow’s products are made from material that is treated to ensure longevity in the product’s life cycle and designed for ease of use and provides simple control of material flow for maintenance free operation. Our air conveyor systems are manufactured in anodized aluminum for most applications and in 304 Stainless Steel for high temperature and corrosive environments. 316L Stainless Steel air operated conveyors are available for food and pharmaceutical applications. An XSPC range conveyor is also available for moving materials that could clog.